Mandy's fun bubblegum machine makeover will forever change the way I refill our bubble gum machine. I am not sure the kids are going to be happy about it, because they typically like to try for a certain color bubble gum, but the pretty is too much to resist. Now I just have to decide if I am going to paint mine white or keep it red. 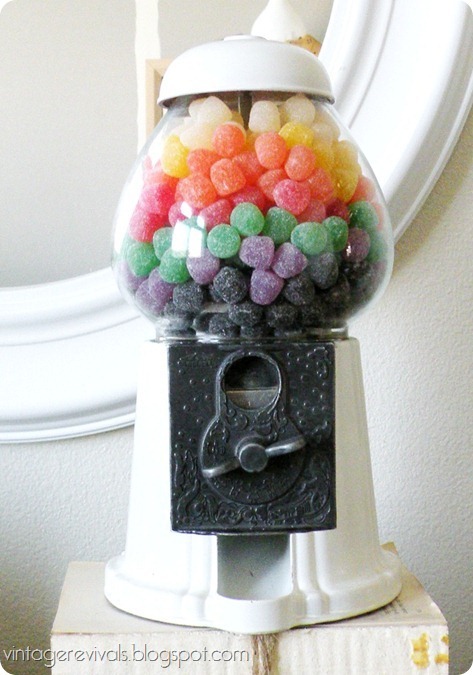 You can check out Mandy's bubble gum machine over at Vintage Revivals.